UPDATE! TLC has confirmed Josiah and Lauren’s courtship. Scroll to the bottom to watch their announcement video. The Duggar Family announced some big news while “on tour” in New Zealand last week: their 21-year-old son Josiah is officially courting family friend Lauren Swanson! 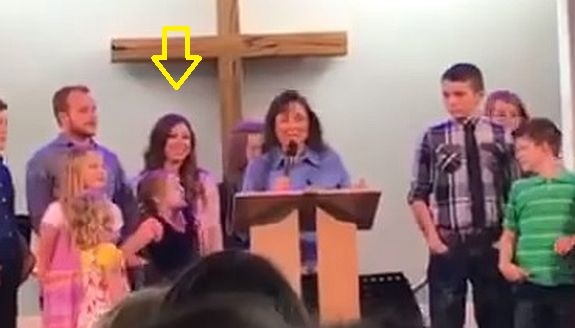 The Counting On stars, who have been Down Under speaking at Advanced Training Institute conferences for the past few weeks, reportedly told the crowd in New Zealand that Josiah has been courting Lauren since January 6, according to an attendee who went to the conference on behalf of the Facebook group Duggar Family News: Life Is Not All Pickles And Hairspray. Lauren has been traveling with the Duggars during their tour of Australia and New Zealand. Lauren is 18 years old and the daughter of Dwain Swanson, who is very connected to the Duggar’s church through ministry. The Swains have attended various Duggar events over the years, including the wedding of Jill and Derick Dillard (where this happened.) They currently live in Georgia. 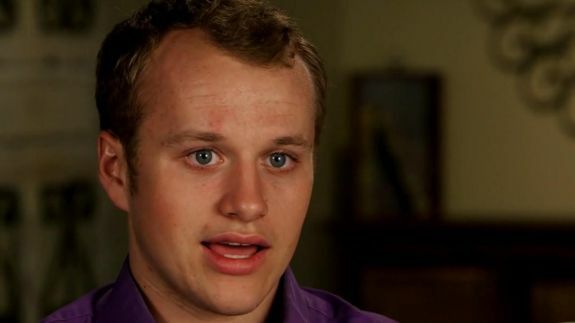 The Duggar kids only court people who they feel could eventually become their spouse. (They explain it as “dating with a purpose.”) Should Josiah and Lauren become engaged and get married, he would be the seventh Duggar offspring to tie the knot. His older siblings Josh, Jill, Jessa, Jinger and Joseph are all married, as is his younger sister Joy-Anna. Watch the official courtship announcement video below! I wish these people would just go AWAY!!! Another 18 year old woman. Girls, LOVE YOURSELVES! Poor Jana. Forever the babysitter. I think Jana is staying single on purpose- she might be a babysitter at home, but marriage for some of these fundie women is far worse than being at home. I would rather be in Jana’s shoes than Anna, popping out baby after baby with the guy who molested his sisters and cheated on her. Nooooo! why do they have to be in my country, we don’t need you here. The purpose is to fart out as many evangelical republican voters as possible, to take over the country. Seriously. Sickening, isn’t it? Not all of the fundy families can be millionaires. Many depend on ‘love offerings’ and welfare. What crap. Isn’t that Anna in that picture? Looks like Josh in the picture too ! Correction ! That is Josiah ! its sad they dont get to ‘date’without a chaperone.if you need a chaperone to ‘control’ yourself,you shouldnt be dating..
Also, how the hell are you supposed to get to know someone deeply enough to know you want to marry them with your siblings around? You aren’t. You are just supposed to blindly marry the first person your parents put in front of you. It’s like a tactic to keep you oppressed throughout your entire life. JimBob and Michelle don’t want their daughters marrying men who will allow them freedom, or their sons masculinity to be threatened by a woman who wants more out of life than to just become a baby machine. They talk about finding the person “God” has put on this earth for them, but that’s no where near possible if you aren’t allowed get to know them for more than a few months while supervised before marrying them. Realistically, I know more about work acquaintances than these kids know about the person they’re committing the rest of their lives with. Like, could you imagine marrying your high school boyfriend/girlfriend having never spent time alone with them, after only 6 months of dating? Because that’s what’s happening here. That said, the Duggars have said multiple times that each couple makes their own “rules for courtship”. I would LOVE to see what would happen if a couple put a ‘no chaperone’ rule into effect.